The Central Bank is working with the financial sector to ensure the movement of pension payments between the UK and Ireland can be maintained in the event of a hard Brexit. Payments to tens of thousands of pensioners in this country are under threat if the UK leaves the European Union without a deal on ‘financial passporting’. The current system allows the UK government and private pension firms to make payments to Irish retirees directly into their bank accounts here. However, unless a new arrangement is struck in the coming months, they will no longer be able to transfer money in this way. The issue is a huge risk to the pension payments of people who worked in the UK and get either a UK state pension, a private UK pension, or both. The Irish Independent revealed yesterday how one large pension firm has already started writing to customers here advising them to consider opening a bank account in the UK. Now the Central Bank has said it is engaging with all financial sector firms to ensure they have “robust contingency plans in place to ensure that services can continue post-Brexit”. 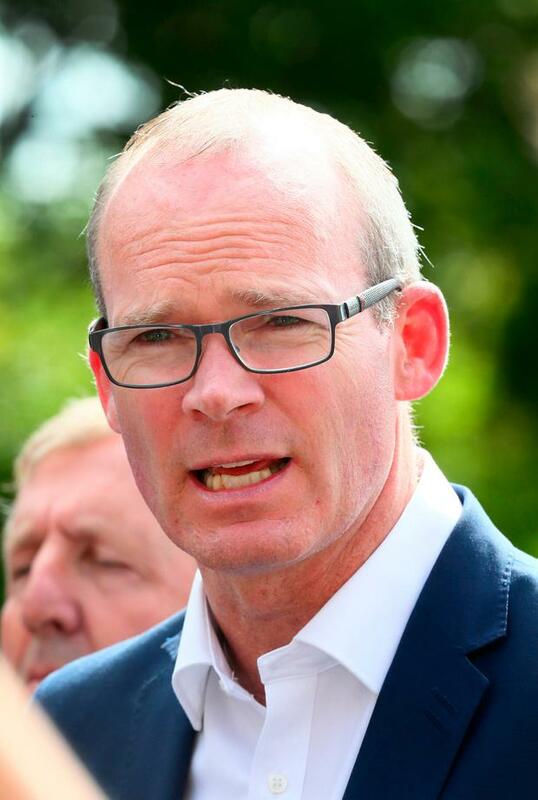 A spokesperson for Tánaiste Simon Coveney, who is leading Ireland’s Brexit preparations, also said the Government was working on “all possible scenarios, including the unlikely case of a ‘no-deal’ Brexit”. “Contingency planning is well advanced, with all issues identified,” he said. In relation to the payment of pensions, the spokesman noted that the Department of Employment Affairs and Social Protection was working on the impact of Brexit on the current reciprocal arrangements for social insurance, social assistance schemes and child benefit between Ireland and the UK, including Northern Ireland. “The objective is to ensure that the reciprocal social welfare rights and related entitlements, which currently exist for Irish and UK citizens moving within Ireland and between Ireland and Britain under the Common Travel Area, are maintained,” the spokesman said. The massive insurer, which pays pensions to 150,000 people in Britain and Ireland, said that if some deal on future banking arrangements was not reached by March, it “will need to pay your pension into a UK bank account”. Fianna Fáil TD John Brassil, who has been contacted by an affected constituent, said it would be “easier to rob the bank than open an account from here”. Meanwhile, UK Prime Minster Theresa May is working on yet another proposal to break the deadlock over the Irish Border. In a move that could cause more disquiet in the Tory party, Mrs May is understood to be looking at the impact of the UK maintaining key EU rules beyond the end of 2020. It has already been agreed that a ‘transition period’ will exist for almost two years after Brexit in order to ensure an orderly divorce. According to Bloomberg, the UK is now considering an extension of this period in order to buy more time to secure a permanent way of keeping the Irish Border open. Mrs May’s officials are said to be looking at proposals to maintain the bloc’s single market regulations in key areas thereby removing the need for customs checks on the island of Ireland.